PillowsAndDecor.com is a Shopify based ecommerce site. 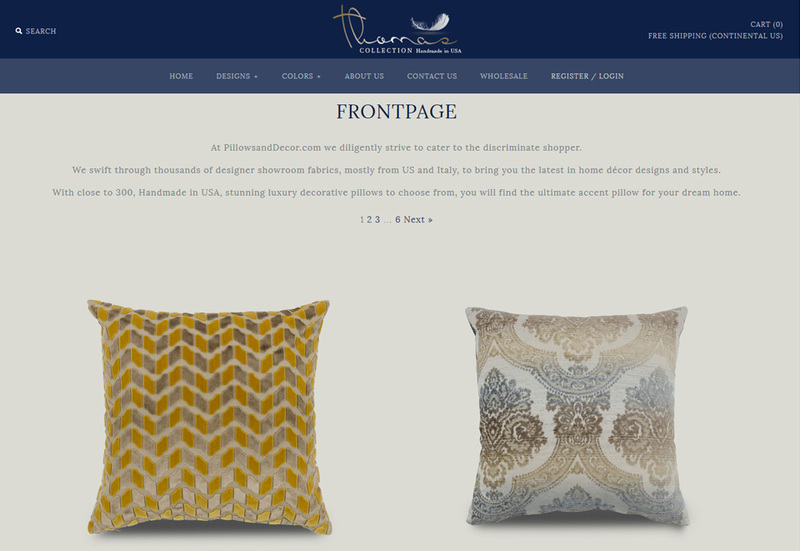 It contains many hundreds of designer pillows in a flexible easy to search customized shopify theme that scales well from desktop to mobile platforms. Shopify is a good mid-tier solution for e-commerce web sites. It is limited in terms of functionality and honestly it’s custom apps are over prices and very poor in quality. That said the system itself is easy to manage for a company with hundreds of products, not dozens or thousands though.